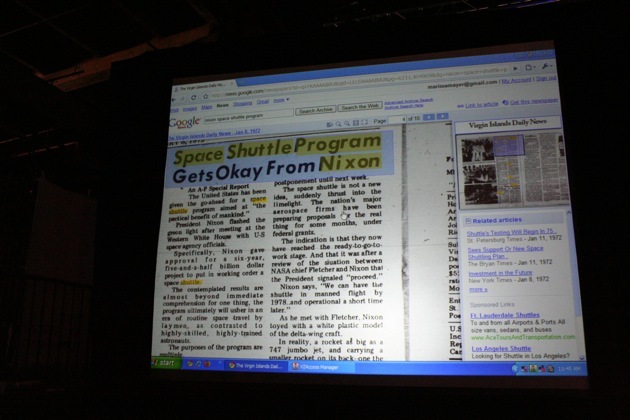 Google announced today that it is expanding the historical newspaper articles that are searchable online. In partnership with newspaper publishers, it is scanning their print archives and making it available on Google’s News Archive Search. 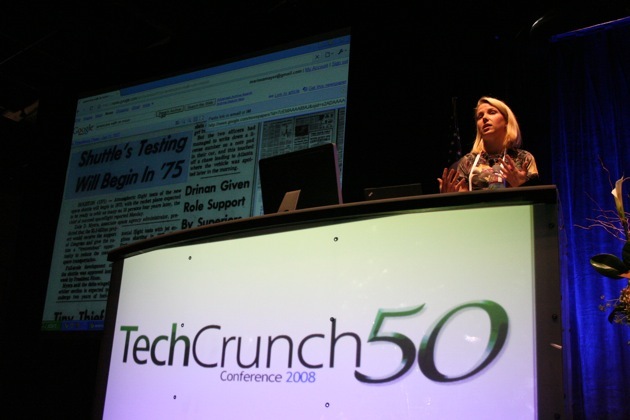 Google’s Marissa Mayer is going to demo the News Archive onstage later today. She showed me a sneak peak of what makes this special. The articles are scanned, and optical character recognition can distinguish between headlines and text. This is an outgrowth of the technologies Google uses to scan books, but it is more advanced and tuned to newsprint pages. We love Google’s news archive searcgh because it lets us find newspaper stories from decades ago, and learn new things about the people and companies we cover. Try this one out for “Lord Flathead.” That was For instance, MySpace co-founder Tom Anderson’s handle when he was a teenage War Games hacker. This is built on scanning technology we built for Google Books, but with some new features. We’ve already started this with books and maps, now we will do it with newspapers. Viewers will see it in their original context, can pan around and search. We will widen the user base and readership of news archives. We already have News Archive search. You will see an interface similar to Google Books search. But our engineers have built in new algorithms to figure out [things like] what is a headline. As I mouse over the page, headlines are highlighted in blue, indicatingtheir clickability. When you click on something, it centers the story, and zooms in. You can do a snapback to the original article. In the sidebar, in addition to sponsored links we have related articles you can click on.